Elly from Young-Williams Animal Center, Panda from Anderson County Animal Shelter, and Frances from Roane County Animal Shelter, all with different medical needs, found their way into safety with Halos Second Chance Animal Rescue. We helped with Elly’s mange treatment, Panda’s initial vetting, and Frances’ leg surgery. All of these babies will be adopted into loving homes when they are fully healed. The Loudon County Friends of Animals (LCFOA) works furiously to save animals from the Loudon County Animal Shelter. 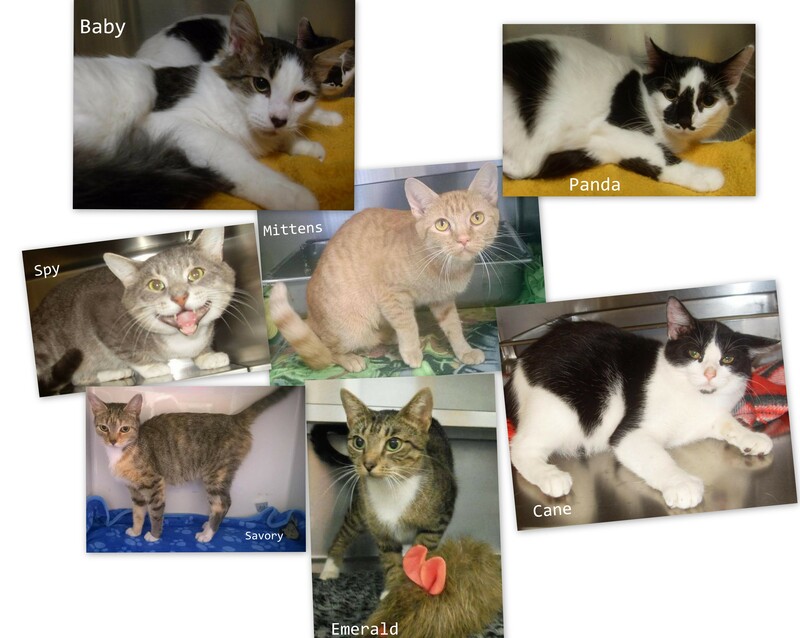 By having sponsorship, they are afforded the opportunity to find suitable homes and offer free, fully vetted cats. LCFOA requires applications and does thorough checks on each applicant before offering up a sponsored cat. There are currently seven adult cats needing out of the shelter soon and sponsorship will help, so we sent enough money ($490) to fully vet all seven. Success!